Southern Matriarch: Have You Drunk the Kool-Aid? Have You Drunk the Kool-Aid? Have you taken the plunge into the newest time sucker? AKA Pinterest? I think I would almost try to be kind and say "Don't do it!" but it has a sweet seductiveness to it like the smell of warm chocolate chip cookies, except I think you can resist the cookies more easily. 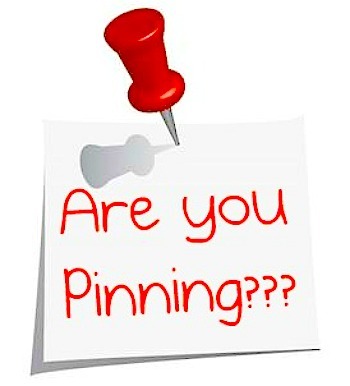 I'm not going to get into the conversation of should you pin or shouldn't you? I have received a few emails asking me what I think of the bru-ha-ha of pinning vs not vs copyright vs etc etc etc. If you know me very well, you will know that I don't have a horse in that race. Maybe it is because I am not a designer. I just feel like if I have posted a picture on my blog then it is out there already. I can say a thousand times, don't lift my pictures; but we all know that not everyone follows the same honor code as I might. There is even a Pinterest Etiquette. Some of it is common sense but we know that sometimes common sense isn't very common at all. I will say, if you do "pin it" give credit where credit is due. There is an option for adding a text caption to what you pin, even though almost all of my photos are "marked" give a shout out to the blog in your text, or what you liked about the item you pinned. Pin from the original source. If you are trying to pin one of my tutorials, open just that post (by clicking on the post title) and then pin. If you pin from the main page, it will bring the searcher back to the main page and they may not know how to search for that tutorial about French seams. Also, check out a pin before you "re-pin." I have been guilty myself of quickly repinning without checking. Sometimes the link doesn't work, goes to a dead end site, or to be quite honest, is lame. If you pin a recipe and or idea, try it and find out it is nasty...delete it! For instance, there is a recipe for potatoes. You may have seen it, it is a whole peeled potato sliced really thin but kind of left whole and then baked? NASTY! The time it took to slice that potato into paper thin slices was so not worth the results of dry, chewy potatoes. Follow those with similar pins, you will get even more ideas you don't have time execute. 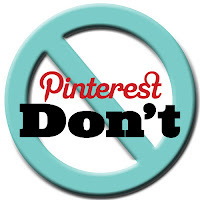 Whatever you do, don't pin from Google images or from a tumbler site. It NEVER leads back to what you are pinning without a lot of lost time searching through pages. I waste enough time there, don't make me hunt for that darling idea through pages and pages and pages. You see I am like a bloodhound, if I have scrolled through a half a dozen pages searching for something it becomes like a challenge. A little switch goes off in my brain that screams "I will not be defeated! 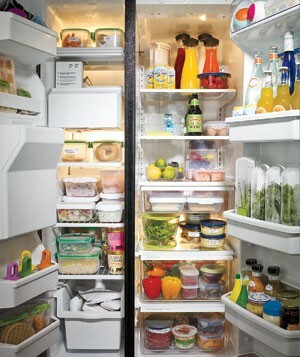 I WILL find it!" Two hours later and still no luck. Aggravating!!! Also, don't clutter up my screen by copying the ENTIRE text into the pin description. I often look at Pinterest on my phone. You are just making my time fly by when I have to scroll through all of that text on my 2" x 4" screen to get to the next pin. Unless you want all of your facebook friends to know what you are up to, log into pinterest independently. Not through facebook. I waste as much time as everyone else, I just don't feel the need to broadcast how I waste my time by having it show up in the facebook newsfeed. Enjoy Pinterest for what it is, a place of inspiration. I have used a lot of ideas, recipes and shopped from pinterest. It was great at Christmas for my three girls. They pin things they like, I purchase. Kind of like how they used to go through catalogs as kids and circle the things they liked. I am assured it is something they will enjoy or need yet it is still a surprise. Instead of the electric science project that it really is. 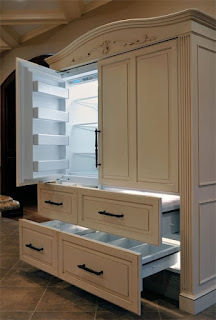 Pinterest has a tendency to make you think that other pinner's homes are straight out of a magazine, their children are polite and that they wear pearls to cook dinner. It is a lie! No one posts pictures of reality only what they wish was their reality. Not everything on Pinterest is the bees knees. Just as there are some really cool, beautiful, darling things on Pinterest; just like everywhere else there is some fugly there too! Some things that make you tilt your head and say "huh?" For the most part, there is some wonderful things to discover. Follow me on Pinterest, see the button on the top right column. See you there! I must be part alien. I have not found Pinterest to be that entertaining. (Maybe because my time is already being sucked up by Ravelry and Facebook.) I do use it more as a way to bookmark things I'd like to find later. Maybe one day the light bulb will go off and I'll figure what I have been missing. But I kind of hope not! You've made some great points here. All in all, I have gotten great inspiration there, some really good recipes, links to blogs I don't think I every would have otherwise, and just plain fun. 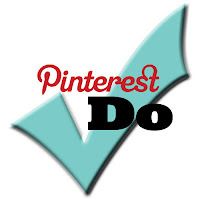 Heard on TV the other day Pinterest is the third biggest presence on the internet. I am guessing Google and FB are the other two. Ben Silberman has goe to billionair in 6 months! Good for Ben! Great points. I am in Mimi's corner. I don't get the appeal. I have lots of my own bookmarks (favs) and spend way too much time on the computer as it is. If I feel the urge to share what I have found, I send the link to the person who is most likely to appreciate the subject matter or picture. Nice to se what your up to!! I love to be pinned with credit given my designs!! I admit to drinking, and perhaps even being addicted, for awhile. Then, I completely lost interest. I have visited only a handful of times in the past month or so. I almost wrote a blog entry about the subject, but never did. Thank you for touching on the matter of pinning etiquette. I do believe there are legal and other issues with Pinterest that contributed to my lack of interest and use. Guess it was a good thing I missed that potato recipe! Pinterest? No interest! I enjoy the pins some of my friends share on Facebook, but I refuse to let myself get sucked into that black hole. My house and yard already suffer from my computer time! The First Egg Hunt, Ever!